The 2016 Razer Blade was already an excellent contender for anyone looking for a sleek and lightweight gaming notebook. It has a beautiful, high-resolution display, a stunning chassis that’s both thin and light, Thunderbolt 3 with USB Type C connector, and can support an external desktop GPU via Razer Core. It did, however, use an Nvidia 9 Series mobile GPU for graphics at a time when a new generation was just around the corner. Today the company is refreshing the Blade with a Pascal-based GeForce GTX 1060 graphics card and a new 1TB storage option. Razer claims the GPU upgrade should offer a performance increase of more than 40% compared to the previous generation. There is no Intel 7th generation option as there are no mobile quad-core Kaby Lake chips yet. Starting at $1,799 for the 14” Full HD (1920 x 1080) matte display option and $2,099 if you opt for the QHD+ (3200 x 1800) IGZO panel, the Razer Blade comes standard with a Skylake Core i7-6700HQ processor with Intel HD Graphics 530, 16GB of DDR4 dual-channel memory, the aforementioned GTX 1060 and a 256GB SSD. Other than that the 14-inch Razer Blade is pretty much the same great thin gaming laptop, with the same colorful Chroma keyboard and 70 watt-hour battery. The updated Razer Blade can be preordered today for delivery in October. 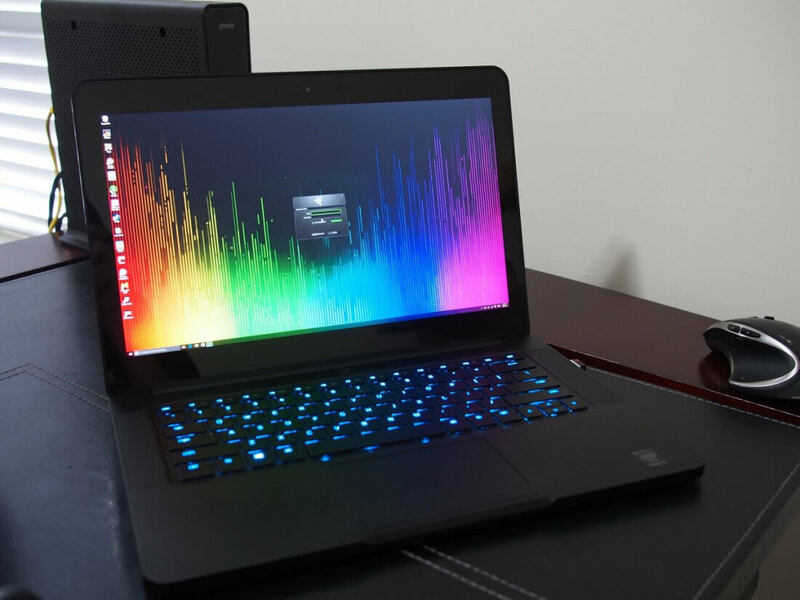 Razer is also updating the Blade Stealth, the company’s first ultrabook which made its debut at CES in January. Headlining the new changes is a new 7th generation 2.7GHz Intel Core i7-7500U processor with Intel HD 620 graphics and a larger battery that should provide up to 9 hours of usable battery life according to the company. The base model starts at $999 and comes with a 2,560 x 1440 QHD IGZO touch display, 8GB of RAM and 128GB of SSD storage, but now you also have the option to get twice as much RAM, and up to 512GB of solid state storage. A 4K variant is also available priced at $1,599 with a 512GB SSD or $1,999 with a full terabyte of solid state storage. Although the Blade Stealth is billed as an ultrabook and not a gaming powerhouse on its own, it is also compatible with the Razer Core external GPU housing via Thunderbolt 3.